With the Edmonton Sun calling for Harper's resignation because his lies are too much - even for them. As Harper said of Paul Martin over the sponsorship scandal, either he knew and was guilty or did not and was incompetent. But Harper also lies constantly, including telling the House on Tuesday it was “regular practice” to cover legal expenses, like Duffy’s, while calling Duffy’s actions “shocking and unacceptable.” At least I hope that too was a lie. As Tories gather in Calgary they should ask themselves, if they are to not become the problem they set out to solve, how they would feel if this web of deceit were spun by a Prime Minister Chretien or Mulcair or Trudeau Jr. And why, if they do not dismiss their chief, Canadians should not dismiss them. I bet he never saw this coming. Some of us wondered. It would have to be something like this, which is probably better than the unkind and often brutal fates that are eventually meted out to the more successful of his ilk. Men with strong occupation associated personal identities tend to suffer deep mental health issues when they lose the occupation that feeds their sense of self. Many never recover. Stephen Harper is not a lawyer, not a corporate executive, not a professor. He is a liar and a politician to the core and there is nothing for him to return to. He is also someone very uncomfortable with close personal scrutiny and unscripted events. All the spotlights are on him now and he is no longer in control. Watch him closely. Kinda like the PMO . . .
Arctic speculation . . .
STEVIE'S STEALTH SNOWMOBILE: the Harper concept of the future of Arctic conflict. Now as we know, the CONs are not the sharpest tools in the drawer and the acquisition of equipment for promoting our Arctic presence has been a Stevie problem. And with global warming opening the Arctic waters, the future could be very interesting. Annalee Newitz has a post at io9, “The war that comes after global warming will blow your mind in new novel Arctic Rising” that is worthy of your perusal. A lot of science fiction about the Earth's warmer future is dystopian, showing us drowned cities and people reduced to Road Warrior desperados. But Tobias Buckell's new novel, Arctic Rising, offers a far more complicated and realistic picture of what the world will look like when the poles melt. It's a breakneck eco-thriller about "Arctic Tiger" nations like Canada clashing with green mega-corporations over what to do about the Earth's climate. At every turn, Buckell will surprise you with plot twists that fly in the face of conventional wisdom about environmental issues, and with cool ideas about how people will adapt to life on the Arctic Rim. Do check it out. S-F has a funny way of turning into reality. 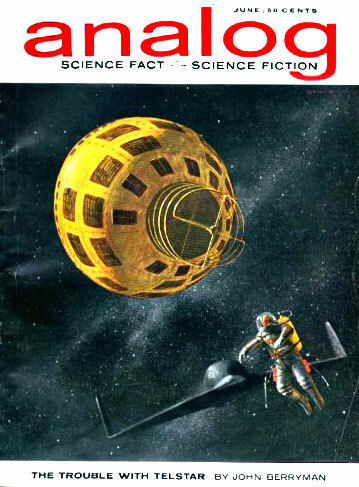 In 1963, as a teenager, I read John Berryman's “The Trouble with Telstar”, about an astronaut sent up to fix a satellite. Thirty years later, I get to watch a Shuttle crew repair the Hubble space telescope on the TV in my living room. Two years ago, WIRED featured the airship you see above, in a post, “Airships Could Prove a Lifeline in the Arctic”. They might even make an appearance next year. Somehow, Stevie's stealth snowmobile just ain't gonna cut it. 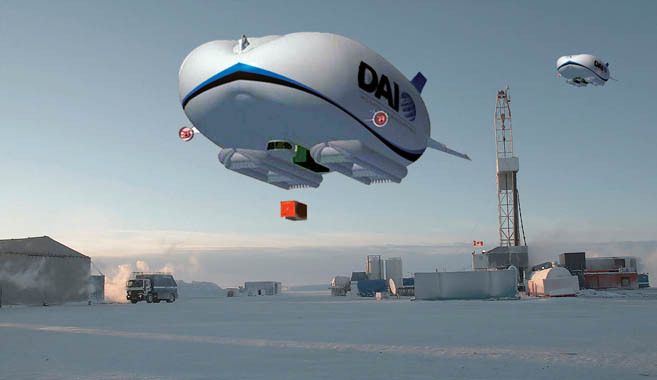 Airships may soon soar in the cold skies of northern Canada and Alaska, bringing supplies to remote mining communities where planes can’t always fly and roads are cost-prohibitive. British airship manufacturer Hybrid Air Vehicles has announced a major contract with Canada’s Discovery Air Innovations to build airships capable of lifting as much as 50 tons, delivering freight at one-quarter the cost of other alternatives. Though various militaries have expressed interest in airships, this is HAV’s first commercial contract. The first ship is expected by 2014. 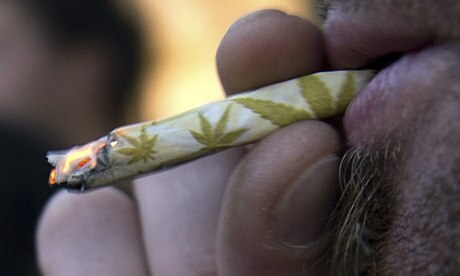 Reefer sanity . . .
a demonstration in Montevideo in May. And a very well-deserved one it is. Rex Murphy's opinion piece isn't just ignorant, it's totally vacuous, the product of someone who literally seems to know nothing about the subject he's railing against. But then, there's the rub. Murphy is educated in the art of the word; not the projection of knowledge. He is the perfect right-wing shill, bereft of information, ignorant of history and mortally afraid of scientific fact. Murphy's way of dealing with the discomfort of science and now, history, is to simply deny it and invent a simplistic, emotional and inaccurate cultural meme to fill the vacuum between the ears of the Harperite base which forms his constituency. Ya gotta wonder where the Tasers were. PRESS CORE is concerned about all the heavy-duty firepower; it seems that some of it might not be the RCMP, like the dude below. Do check out the site for some interesting pictures. Stevie and Brazil . . .
WHY WOULD STEVIE TARGET BRAZIL? According to Dave Dean at Vice, “75% of the World's Mining Companies Are Based in Canada”. Maybe that's why Stevie wants to know what the Brazilian Ministry of Mines is planning? All over the world, companies listed on the Toronto Stock Exchange and run out of lawyer’s offices on Bay Street or skyscrapers in downtown Vancouver (whose real financiers may live in Australia or Nevada) are handling the mining game at home, throughout parts of Asia, South America and surprisingly, even with all the talk of China’s investment in Africa, it turns out that it’s Canada, not China, who is quietly dominating and exploiting African mining. All told, almost 1,300 mining companies based out of Canada are investing hundreds of billions of dollars in over 100 countries around the world. Well, well, time to do some rat removal. These are not nice people, and they do nasty things to people in their way. In Central and South America, Canada’s reputation is being dragged through the dirt to the point where in some countries, it’s apparently better for travellers to say they’re American than Canadian, and it’s not hard to see why. Vancouver-based Pacific Rim is suing the government of El Salvador, a country with a GDP of $23 Billion (Canada’s is $1.7 trillion) for $315 million dollars because they didn’t let them follow through with a mine that threatened to pollute the Lempa River—a watershed that accounts for 60% of the country’s clean water. As if that’s not enough, a region of Guatemala was militarized last month—and the right to protest or form meetings has been suspended by the president—following clashes between local protesters who are concerned for their drinking water and employees of Vancouver-based Tahoe Resources inc. 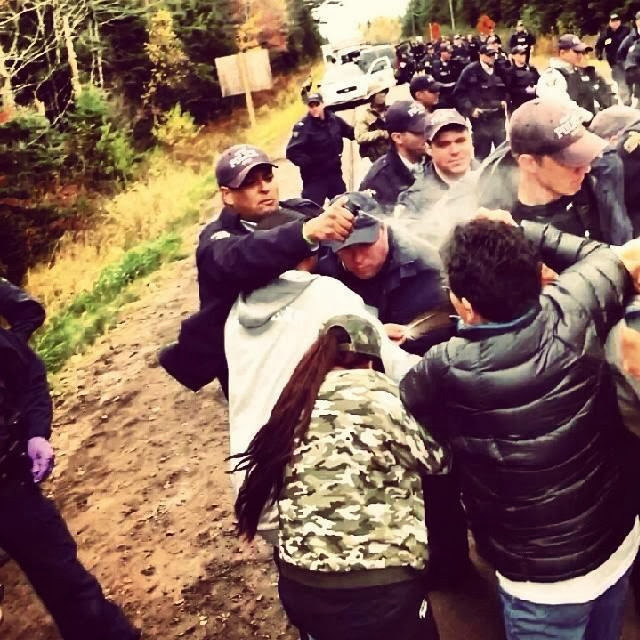 While most companies probably do operate ethically and to the best of their ability—while maintaining healthy and sustainable relationships with local cultures and their environments—unfortunately these few stories really are the tip of the iceberg as far as Canada’s mining reputation that is beginning to be noticed as the worst in the world. You're a goddamned embarrassment. Step down. 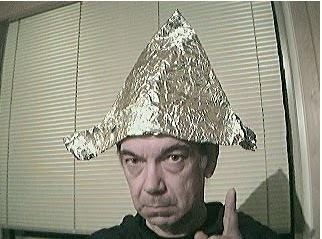 Foil hat time . . .
BOOGITY-BOOGITY. “Adolf Hitler -- Agent of Zionism and Freemasonry”. Yup. Really. Must be true, it's on the web. A natural wonder . 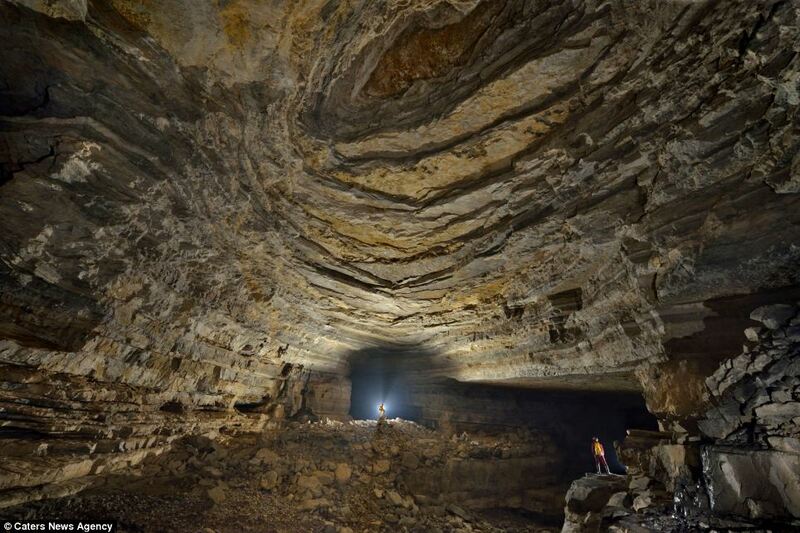 . .
cave system, where clouds form inside the huge spaces. 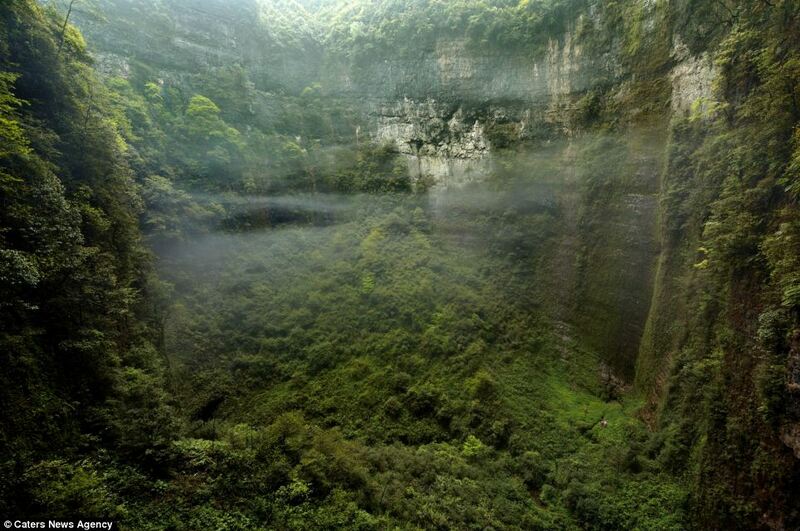 “The cave so huge it has its own weather system: Explorers discover a lost world with thick cloud and fogs trapped inside” according to The Mail Online.